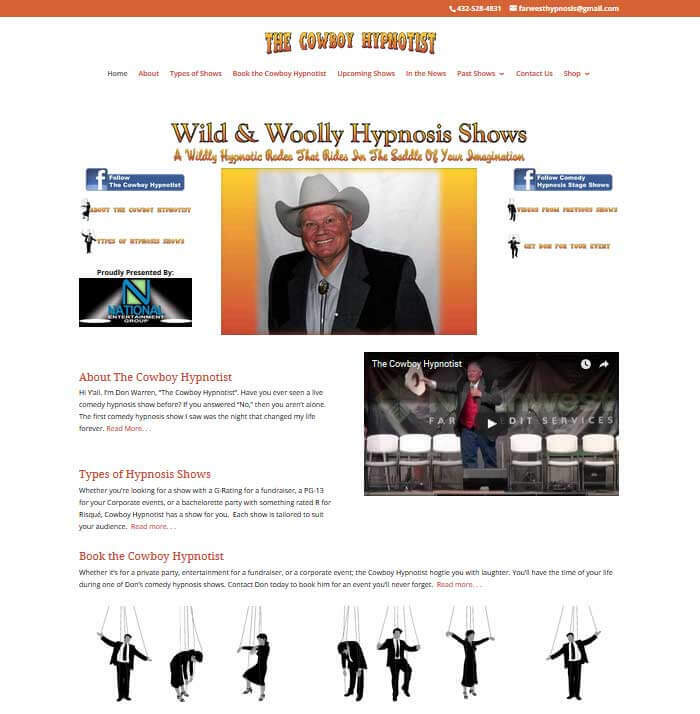 Don Warren, The Cowboy Hypnotist, offers comedy hypnosis shows throughout the North Texas area. 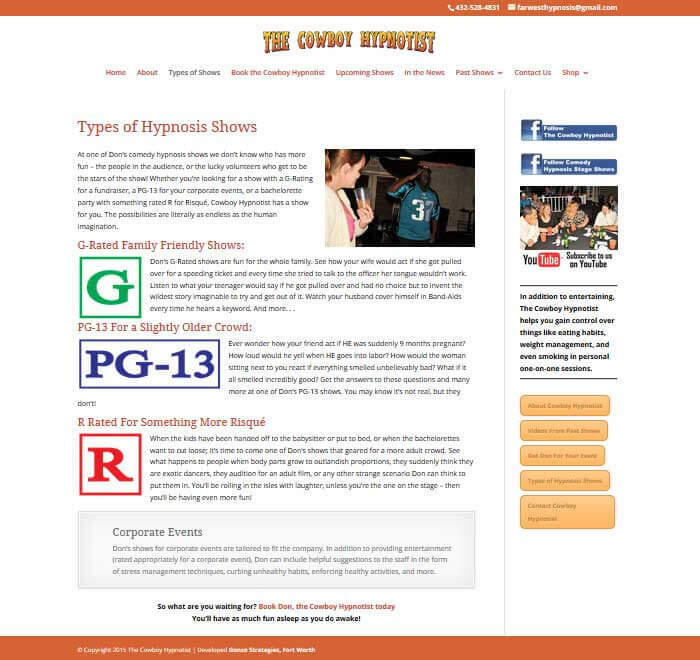 He needed a site that would give information about the types of shows he performs, offer videos of his performances, let users know where he would be performing next, and give prospects a way to request his services for their upcoming events. 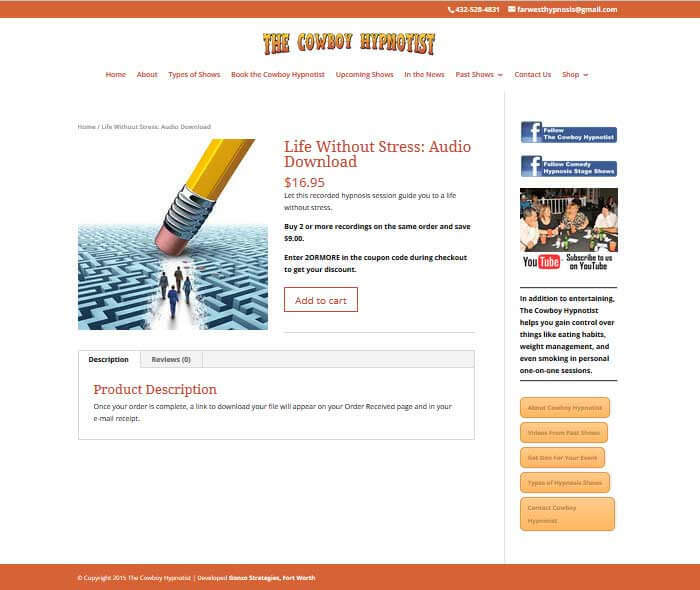 In addition to his shows, Don also offers a variety of recorded hypnosis sessions designed to help the listener with things like losing weight, stopping smoking, and overall improvement. 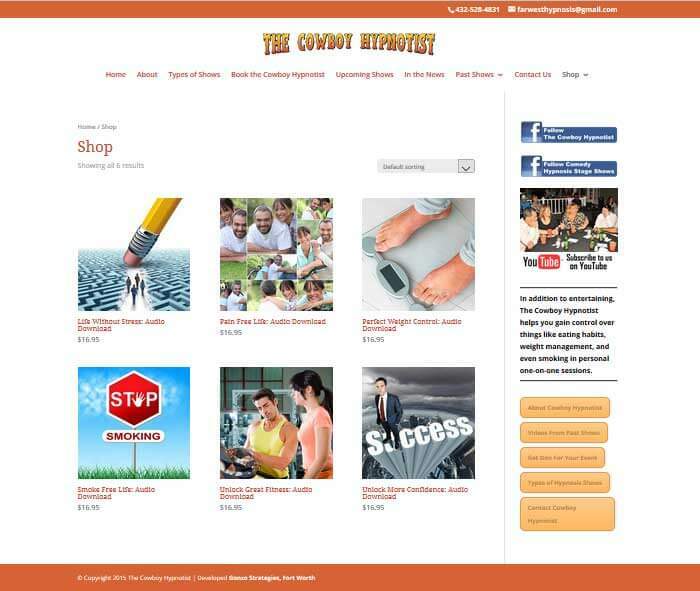 To accomplish this, Gonzo Strategies created a billboard site to promote The Cowboy Hypnotist, and added an e-commerce component so his recording could be purchased and immediately downloaded.